Complete that stylish look in your home by introducing the gorgeous Antique French Style Wooden Console Table. 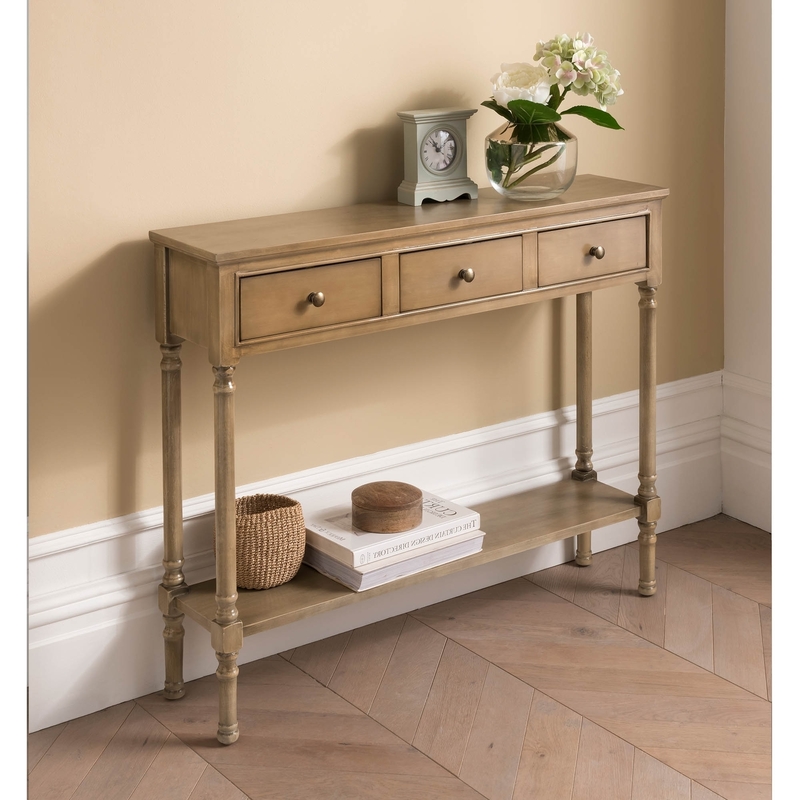 This console table is created from wood and features a stunning taupe colour. This piece also has chrome handles, fitting in perfectly with the elegant shabby chic design. This piece will be sure to make any home feel a lot more warming and welcoming.